Several years will be needed for the new office space in the Bulgarian capital Sofia to be absorbed by the market, according to a report of Colliers International. The total area of "modern office space" in Sofia has reached 1.378 million square meters in the first half of 2011, a growth of 5% year-on-year, with many new buildings completed in the outskirts of the city, reveals the report of Colliers International, a real estate consultancy. About 65% (898 000 square meters) of the office space in Sofia are located in the suburbs, while 21% are in the greater city center, and 14% are in the downtown. 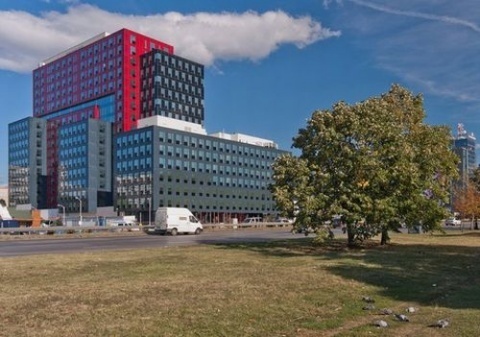 According to Colliers, in the first half of 2011, the unoccupied office space in Sofia has reached 26% of the total area on the market, or 357 000 square meters. Of those, 252 000 square meters are located in the suburbs. "The absorption of the modern office space will take several years," said Anton Slavchev, office space manager at Colliers International Bulgaria, explaining, "In the years before the crisis, the net absorption varied between 80 000 and 120 000 square meters per year. With over 350 000 square meters of unoccupied offices and over 460 000 under construction we can hardly expect a recovery of the office market." Slavchev believes that the main driver of the office market in Sofia is the need to optimize cost and space. In his words, the recent months have seen many tenants of office space in Sofia shift their location fro the greater downtown area to the periphery of the city. "Many firms have chosen to move their office from a residential building to an office building since they can now afford to do that and the new developments offer many more comfortable and suitable conditions for the companies," he pointed out. According to Colliers, the most active renters of office space in Sofia are companies from sectors such as outsourcing, off-shoring, pharmaceuticals' production, and energy. The consultancy's report further reveals that the average office tenant contract period in Sofia remains unchanged – 3 to 5 years, with the rental prices continuing to go down in the first half of 2011 – ranging from EUR 7.5-8 per square meter in the suburbs, to EUR 8-11 per square meter in the wider city center, and EUR 10-15 per square meter in the downtown. According to Colliers, in spite of the increased demand by office tenants, the development of the office space market in Sofia will depend on the overall development of the Bulgarian economy and the inflow of foreign direct investment. Colliers expect that office space rental prices in Sofia can be expected to stabilize in about a year at the earliest, except for developments with outstanding locations and high-quality services and management.